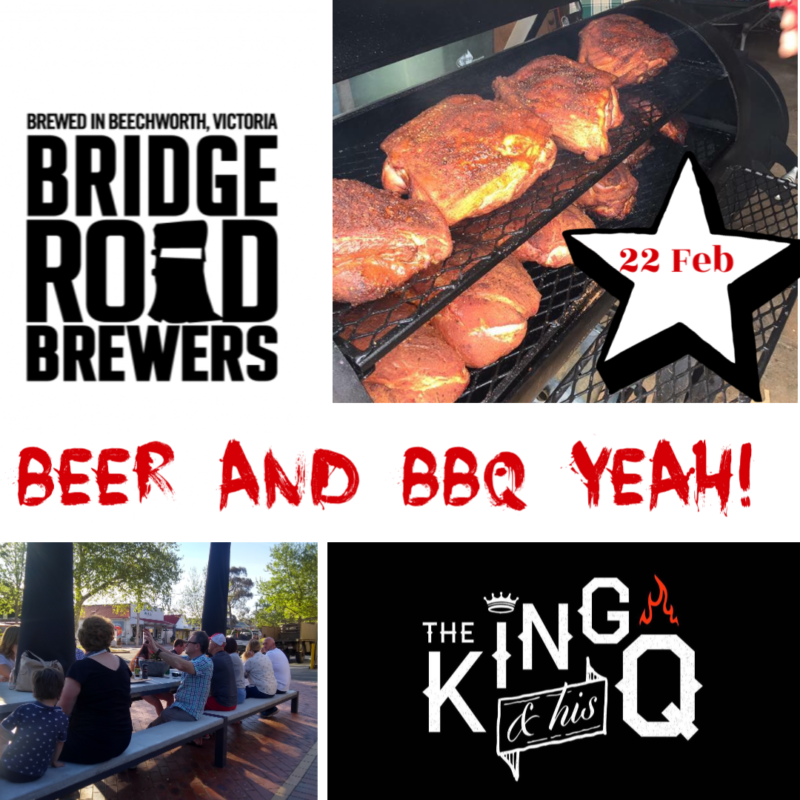 The King and his Q BBQ and Bridge Road Brewery! We are excited to welcome the King and his Q who will serve up some awesome BBQ for our Friday food van! We are also very lucky to have Bridge Street Brewers all the way from Beechworth with tastings of their brews. Come and enjoy a fun night with friends!